Just think of the pang in the heart this would have given to either a wife or husband in this time when laundry was such a difficult task from start to finish. While not a typical ad from the era filled with all kinds of art and different fonts, this is one of my absolute favorites I’ve ever seen in the nearly seven years I’ve been looking for and posting mid-20th century material. 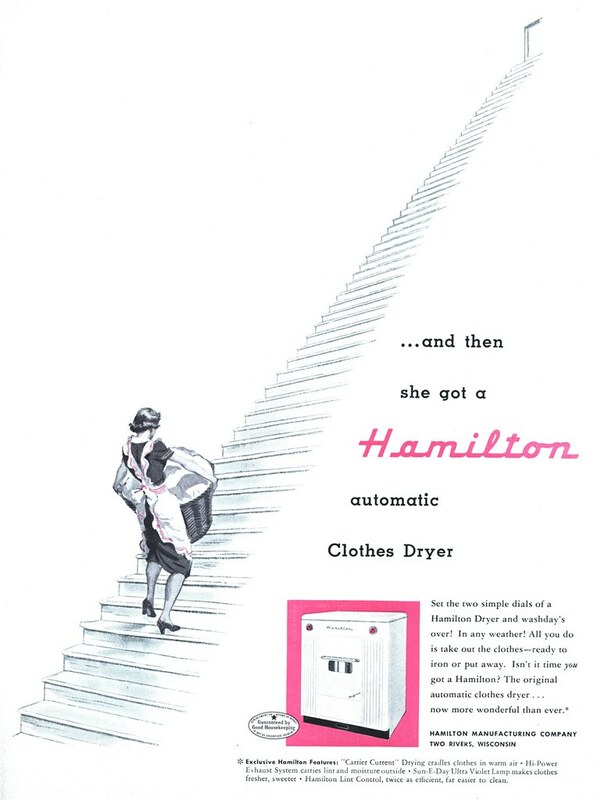 Posted in 1950s, Retro/VintageTagged advertising, Americana, appliance, home, illustration, laundry, stairs, washerBookmark the permalink.